A justified act of lunacy! Our life has become fast, and it is only getting faster. Technology is driving the trend for things to become more efficient. I guess that’s why I train so hard because I want to become more efficient, not to be faster. I want to be the best version of myself on the bike. When I’m not sleeping or riding I’m on social media. I am 100% a protagonist of social media. And I aim to “keep it real” The brands which I align myself with did not choose me. I chose them. I only stand behind things that I believe in, brands that I can identify with. It is an all or nothing act on my part! I’m all in! Wahoo is more than a brand, it is a community of Wahooligans that share a similar attitude. The combination of experiences spent on the bike alone or the occasional good mate and my companion to solitude on the KICKR. Wahoo pushes me to strive for more while being perfectly present at every turn, every climb, and every gear shift. The ride is the focus, nothing else! Personally, I like to make a statement. This has always been my style. That is what I’m about, constantly moving forward and giving back is what I do and what I believe in. Some may think I am out there, that I have gone off the deep end, that I am all shock and awe. Let them think what they may. I am unfiltered, a passionate person, a cyclist, a creative, a friend, a fighter, an advocate of solitude and 100% me and I aim to keep it real at all times. 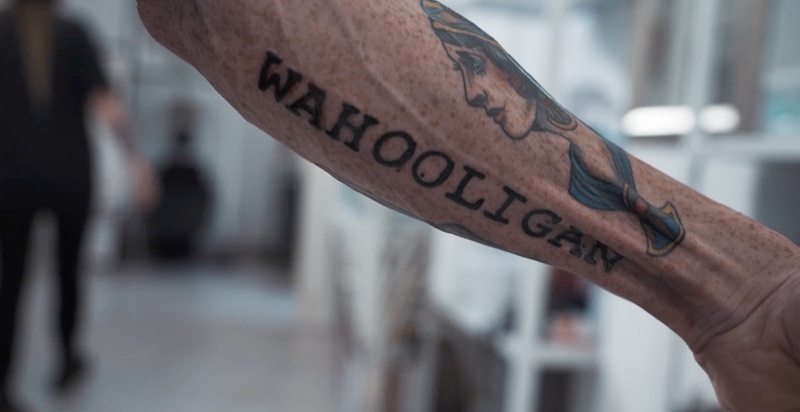 Watch more Wahooligan videos over on our YouTube Channel.